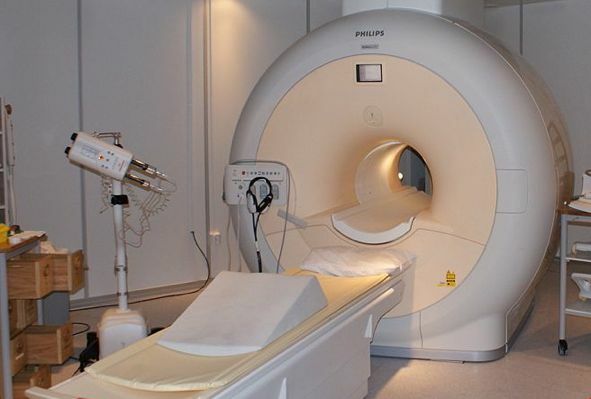 SOURCE: WIki Commons/Jan Ainali Magnetic Resonance Imaging machines, like the one here built by Philips Co., are one example of a commercial technology sparked by intellectual property developed in universities. With so much riding on our country’s ability to turn new ideas into economic progress and job creation for the next generation, it was wise for the National Research Council of the National Academies to review the performance of an important piece of legislation that is hitting its 30th anniversary: The Bayh-Dole Act of 1980. This important law gave universities ownership over intellectual property arising from federally funded research at their institutions. Although it may seem obscure to the uninitiated, the legislation has since helped spark thousands of new products and new ventures over the last three decades. In its new report, “Managing University Intellectual Property in the Public Interest,” NRC concludes that Bayh-Dole indeed works as advertised, helping to translate research advances for the public interest. It also concludes that significant room for improvement remains, and through its 128-page report the council proposes useful and concrete suggestions for universities to more effectively apply their research for the public good. Universities—and the intellectual property generated through their research—have played a huge role in innovation in this country, sparking game-changing ideas as diverse and valuable as the Internet, recombinant DNA technology (the basis for the biotechnology industry), Kentucky bluegrass, plexiglass, liquid crystal displays, magnetic resonance imaging, open source software, insulin, rocket fuel, the pacemaker, and the seatbelt, to name a few. The NRC report is a fantastic first step because we can benefit from the best practices it identifies, and universities are eager to continually further their ability to address societal needs. However, now it’s time to look beyond universities. Don’t get me wrong: universities are absolutely critical—I work at one—but they are only part of the equation. In the final analysis, it is the complex interplay between academia, government, the private sector, and the not-for-profit world that will make or break our ability to turn the next generation of ideas into real economic growth. Turning IP into jobs is not something that universities can do alone; we need to look at how all players can improve and contribute. U.S. taxpayers, for example, spend more than $50 billion annually on university research, and while we certainly have benefited from this work, we contribute virtually nothing to the processes and ecosystems at universities to optimally translate this research into the marketplace. Technology transfer is tough sledding for universities, and most institutions lose money in the process. Although big profitable “hits” are well publicized, they are rare, so universities must view IP transfer and licensing in the full context of their own mission and goals. Some schools, like the University of Southern California, have the strategic commitment to focus resources on this process in order to serve their faculty and students, as well as the broader society. But not all schools have the luxury to do so; even at USC we could be more effective with more grants and mentoring for faculty and student teams. How can we accelerate innovation from campus to the economy? To start with, the federal government should fund an initiative to develop and nurture innovation ecosystems around universities. These programs would provide proof-of-concept grants, engage the business community in on-campus projects, and mentor faculty and student teams at a local level. Based on proven models and described in a proposal I wrote called IMPACT, featured in Science Progress last June, this approach would provide approximately $20 million in much-needed support for the innovation process. In fact, at this point IMPACT should be even bolder—along the lines of $75 million, spread among 40 or 50 university-affiliated programs receiving up to $2 million per year. These innovation ecosystems do not have to be limited to supporting university projects, either. Although they should be tightly coupled to universities at their core, they could be expanded to engage and support researchers at nearby smaller institutions or entrepreneurs that have Small Business Innovative Research, or SBIR, grants in the local area, to maximize the impact of the federal funding invested in them as well. In essence, the IMPACT proposal is about identifying and scaling best practices for creating the ideal environments for innovation to happen, and replicating it throughout the country. Other changes in the federal government would help, too, such as augmenting all research grants to provide vital funding for patenting and licensing activities on the most promising inventions. Currently indirect costs do not cover this activity, but a small increase of 1 percent would be transformative for universities’ ability to engage with critical commercialization pursuits. Further, any new funding mechanism for commercialization must engage technology transfer offices rather than marginalize them; recently there have been moves to spend money and build around them, which is wasteful and counterproductive. And the federal government can make some changes that don’t cost a dime. For example, right now the National Institutes of Health is reviewing its extramural conflict-of-interest policies, which could have a large negative impact on the ability of researchers to engage in commercialization activities depending on how they are written. On one hand, the federal government is placing increased pressure on universities to commercialize their inventions; yet on the other it is proposing conflict-of-interest policies that would disallow a university to advance promising research in their labs and clinics if the intellectual property might become commercially successful. Why? Because it might lead to a revenue stream down the line. Just as NIH works to ensure that institutions manage potential conflicts of interest, it should also work to ensure that its policies don’t get in the way of new venture and industry creation. Other broader policy changes would create a much better environment for new venture creation and growth. Just to name two: we need to overhaul Sarbanes-Oxley, the 2002 law that requires a variety of reporting and compliance standards for public companies, so the law doesn’t overburden small companies. We also need immigration reform to enable entrepreneurs and scholars to stay in this country. Foreign nationals make up two thirds of our Ph.D. students and have founded 50 percent of Silicon Valley startups in the past decades, but they now have other options and we make it very difficult for them to stay after they graduate. We should consider players beyond the federal government, too. Local governments and economic development initiatives need to value the role that universities can and do play. Foundations and nonprofits can contribute greatly as well. The Coulter Foundation has contributed $50 million towards university-based proof-of-concept programs, leading to 60 biomedical spinouts in the last four years. Also, the Kauffman Foundation piloted an Entrepreneur Postdoctoral Fellows Program last year, which enables researchers to learn how to translate their research into marketable technologies. These are great role models for powering the innovation ecosystem in this country. And finally, industry should be brought in as champions and supporters of this process, to find common ground with the goals of academia and the public. Just as the Obama administration recently brought together over a hundred corporations to tangibly support so called STEM (science, technology, engineering and math) education through its Educate to Innovate initiative, we should do the same for innovation and entrepreneurship. Perhaps the Department of Commerce’s new National Advisory Council for Innovation and Entrepreneurship will take on this challenge. The late U.S. Senator and ambassador to India, Pat Moynihan, was once asked by his host country how they might build a great world city, and he answered, “Create a great university and wait 200 years.” He might have been partially joking, but there is truth to his answer in that universities serve as the cultural and economic engines of a region. We certainly can’t wait that long—but fortunately we don’t have to. With the involvement of all parties, we can enhance and expand the impact of our country’s already extraordinary system of higher education. Krisztina “Z” Holly, an engineer and entrepreneur, is the vice provost for innovation at the University of Southern California and executive director for the USC Stevens Institute for Innovation. With so much riding on our country’s ability to turn new ideas into economic progress and job creation for the next generation, it was wise for the National Research Council of the National Academies to review the performance of an important piece of legislation that is hitting its 30th anniversary: The Bayh-Dole Act of 1980. This important law gave universities ownership over intellectual property arising from federally funded research at their institutions. Although it may seem obscure to the uninitiated, the legislation has since helped spark thousands of new products and new ventures over the last three decades. In its new report, “Managing University Intellectual Property in the Public Interest,” NRC concludes that Bayh-Dole indeed works as advertised, helping to translate research advances for the public interest. It also concludes that significant room for improvement remains, and through its 128-page report the council proposes useful and concrete suggestions for universities to more effectively apply their research for the public good. Universities—and the intellectual property generated through their research—have played a huge role in innovation in this country, sparking game-changing ideas as diverse and valuable as the Internet, recombinant DNA technology (the basis for the biotechnology industry), Kentucky bluegrass, plexiglass, liquid crystal displays, magnetic resonance imaging, open source software, insulin, rocket fuel, the pacemaker, and the seatbelt, to name a few. The NRC report is a fantastic first step because we can benefit from the best practices it identifies, and universities are eager to continually further their ability to address societal needs. However, now it’s time to look beyond universities. Don’t get me wrong: universities are absolutely critical—I work at one—but they are only part of the equation. In the final analysis, it is the complex interplay between academia, government, the private sector, and the not-for-profit world that will make or break our ability to turn the next generation of ideas into real economic growth. Turning IP into jobs is not something that universities can do alone; we need to look at how all players can improve and contribute. U.S. taxpayers, for example, spend more than $50 billion annually on university research, and while we certainly have benefited from this work, we contribute virtually nothing to the processes and ecosystems at universities to optimally translate this research into the marketplace. Technology transfer is tough sledding for universities, and most institutions lose money in the process. Although big profitable “hits” are well publicized, they are rare, so universities must view IP transfer and licensing in the full context of their own mission and goals. Some schools, like the University of Southern California, have the strategic commitment to focus resources on this process in order to serve their faculty and students, as well as the broader society. But not all schools have the luxury to do so; even at USC we could be more effective with more grants and mentoring for faculty and student teams. How can we accelerate innovation from campus to the economy? To start with, the federal government should fund an initiative to develop and nurture innovation ecosystems around universities. These programs would provide proof-of-concept grants, engage the business community in on-campus projects, and mentor faculty and student teams at a local level. Based on proven models and described in a proposal I wrote called IMPACT, featured in Science Progress last June, this approach would provide approximately $20 million in much-needed support for the innovation process. In fact, at this point IMPACT should be even bolder—along the lines of $75 million, spread among 40 or 50 university-affiliated programs receiving up to $2 million per year. These innovation ecosystems do not have to be limited to supporting university projects, either. Although they should be tightly coupled to universities at their core, they could be expanded to engage and support researchers at nearby smaller institutions or entrepreneurs that have Small Business Innovative Research, or SBIR, grants in the local area, to maximize the impact of the federal funding invested in them as well. In essence, the IMPACT proposal is about identifying and scaling best practices for creating the ideal environments for innovation to happen, and replicating it throughout the country. Other changes in the federal government would help, too, such as augmenting all research grants to provide vital funding for patenting and licensing activities on the most promising inventions. Currently indirect costs do not cover this activity, but a small increase of 1 percent would be transformative for universities’ ability to engage with critical commercialization pursuits. Further, any new funding mechanism for commercialization must engage technology transfer offices rather than marginalize them; recently there have been moves to spend money and build around them, which is wasteful and counterproductive. And the federal government can make some changes that don't cost a dime. For example, right now the National Institutes of Health is reviewing its extramural conflict-of-interest policies, which could have a large negative impact on the ability of researchers to engage in commercialization activities depending on how they are written. On one hand, the federal government is placing increased pressure on universities to commercialize their inventions; yet on the other it is proposing conflict-of-interest policies that would disallow a university to advance promising research in their labs and clinics if the intellectual property might become commercially successful. Why? Because it might lead to a revenue stream down the line. Just as NIH works to ensure that institutions manage potential conflicts of interest, it should also work to ensure that its policies don’t get in the way of new venture and industry creation. Other broader policy changes would create a much better environment for new venture creation and growth. Just to name two: we need to overhaul Sarbanes-Oxley, the 2002 law that requires a variety of reporting and compliance standards for public companies, so the law doesn't overburden small companies. We also need immigration reform to enable entrepreneurs and scholars to stay in this country. Foreign nationals make up two thirds of our Ph.D. students and have founded 50 percent of Silicon Valley startups in the past decades, but they now have other options and we make it very difficult for them to stay after they graduate. We should consider players beyond the federal government, too. Local governments and economic development initiatives need to value the role that universities can and do play. Foundations and nonprofits can contribute greatly as well. The Coulter Foundation has contributed $50 million towards university-based proof-of-concept programs, leading to 60 biomedical spinouts in the last four years. Also, the Kauffman Foundation piloted an Entrepreneur Postdoctoral Fellows Program last year, which enables researchers to learn how to translate their research into marketable technologies. These are great role models for powering the innovation ecosystem in this country. And finally, industry should be brought in as champions and supporters of this process, to find common ground with the goals of academia and the public. Just as the Obama administration recently brought together over a hundred corporations to tangibly support so called STEM (science, technology, engineering and math) education through its Educate to Innovate initiative, we should do the same for innovation and entrepreneurship. Perhaps the Department of Commerce’s new National Advisory Council for Innovation and Entrepreneurship will take on this challenge. The late U.S. Senator and ambassador to India, Pat Moynihan, was once asked by his host country how they might build a great world city, and he answered, “Create a great university and wait 200 years.” He might have been partially joking, but there is truth to his answer in that universities serve as the cultural and economic engines of a region. We certainly can’t wait that long—but fortunately we don’t have to. With the involvement of all parties, we can enhance and expand the impact of our country’s already extraordinary system of higher education. Krisztina “Z” Holly, an engineer and entrepreneur, is the vice provost for innovation at the University of Southern California and executive director for the USC Stevens Institute for Innovation.